Renovo Bikes, an engineering firm and manufacturer of high-performance wooden bike frames handcrafted in the US, has appointed Kelsey Anderson to expand its marketing remit. Putting her journalism degree to work, Kelsey Anderson was recruited from college by OutsidePR, a San Francisco agency; and her cycling background backs up her professional experience. Anderson grew up in the Northern California mountain bike scene, racing enduros, downhill, dual slalom, cross-country, endurance and short track, culminating at the elite level on the US National Downhill Team. Aside from mountain bike racing, Kelsey is an avid skier, dirt biker, fly fisher, camper and all-around outdoors person. Founded in 2007 by former aircraft designer and manufacturer Ken Wheeler, Renovo Hardwood Bicycles designs, engineers and manufactures high-end wooden frames from its shop in Portland, Oregon. 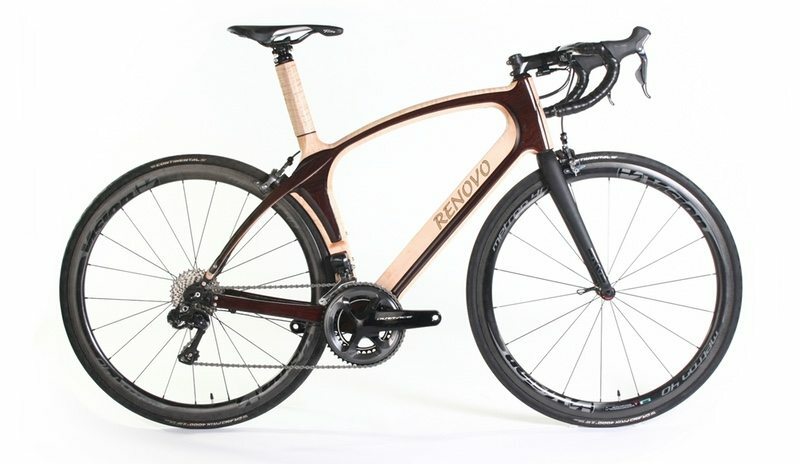 Renovo chose wood as it ‘has the ideal cellular and structural properties for bike frames to dampen vibration while maximizing fatigue life, as well as ride comfort and control’. The entire hollow-hardwood frame of a Renovo is designed to absorb shock, delivering what is billed as the highest stiffness-to-smoothness ratio.